Cipperman poll finds many firms dont spend enough to make compliance programs effective. 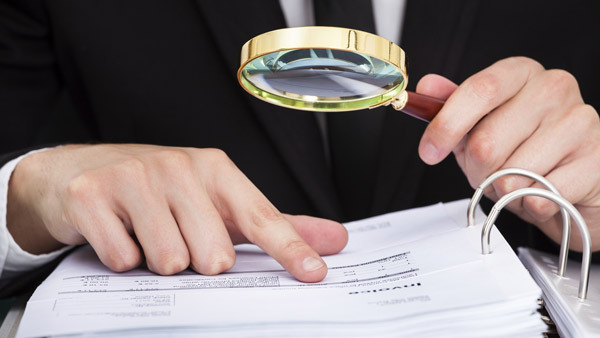 Client pressures and increased regulatory scrutiny are prompting financial services professionals to embrace compliance as a core function of their business, according to a report released Tuesday by Cipperman Compliance Services. But a mismatch between resources and commitment still exists at many firms, the report said. Cipperman’s annual C-Suite Survey found that 81% of respondents were concerned or very concerned by the Securities and Exchange Commission’s practice of identifying and prosecuting individuals. And 70% said that prospective clients had included a review of compliance policies or interviews with personnel responsible for the function in their due diligence. This suggests, Cipperman said in a statement, that clients now view compliance as an integral part of a desirable financial firm. “A manager’s ability to demonstrate a strong compliance program is a big factor in landing asset management business from institutional and individual investors,” Todd Cipperman, the firm’s managing principal, said in the statement. According to the survey, 63% of asset managers said they had a compliance committee at their firm, up from 48% who reported having one in the 2014 survey. And 88% of all respondents said they had conducted a compliance review in the past year, compared with 67% who said they had done so in the earlier survey. “Firms are choosing to vest these duties with committees and individuals whose sole responsibility is compliance, as opposed to wearing multiple hats, which has proven to be the most effective means of maintaining a culture of compliance,” Cipperman said. This appears to represent a big turnaround from two years ago when a report found that compliance officers’ paychecks were dwindling and their budgets were being slashed. “Truly dedicated compliance personnel reduce conflicts of interest, stay on top of the shifting regulatory landscape, and ensure compliance doesn’t take a backseat to other business functions,” Cipperman said. But even as firms reported more personnel dedicated to compliance, most of those surveyed had not devoted the appropriate amount of resources to their programs. Only 18% of respondents said they allocated more than the industry-benchmark 5% of their total revenues on compliance, while 53% reported spending between 0% and 5%. “These figures show, as they did last year, that it is much easier to talk the compliance talk then walk the walk,” Cipperman managing director Jason Ewasko said in the statement. On a different note, the survey found that the financial services industry had rapidly adopted the practice of outsourcing compliance activities in the wake of court rulings that validated the practice and recent acknowledgements by the SEC. Fifty-seven percent of all respondents said they outsourced some or all of their compliance function, up from the 24% who outsourced in 2014. Sixty-eight percent of alternative asset managers and 65% of broker-dealers reported embracing outsourcing. – Related on ThinkAdvisor: Guggeneheim Unit to Pay SEC $20M Over Compliance Failures.